There seemed to be, and perhaps even still remains, a modicum of confusion surrounding exactly what the purpose and plot of Saving Mr. Banks actually is, being a live action feature whose trailers and marketing offer clear links to the studios perennial family favourite Mary Poppins as well as what appeared to be Tom Hanks playing the big man himself (Disney, not god - though Emma Thompson’s character does get a cracking dig along those lines). Is this a drama doc retelling of the making of the musical fantasy we all know and love? 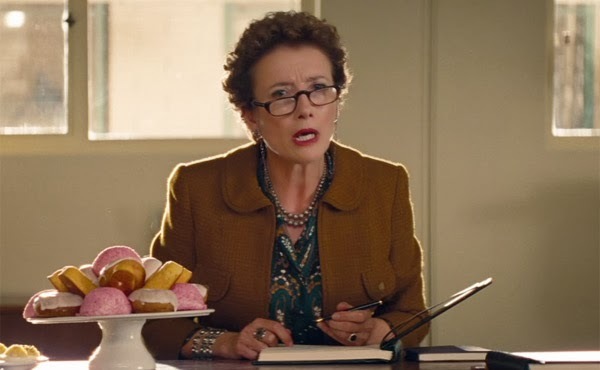 Is it a biopic concerning Poppins’ original scribe P. L. Travers, or one of Walt himself? And what exactly does Colin Farrell riding horseback in the Australian outback have to do with it all? 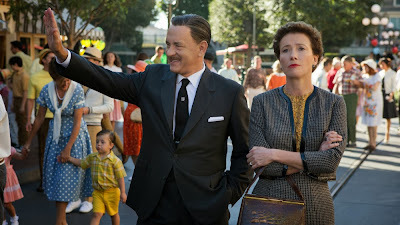 In execution though, Saving Mr. Banks comes together with extraordinary clarity and efficiency, shedding off any ambiguity or identity crisis from the off, managing to juggle various different elements and timeframes into a thoroughly charming, consistently entertaining and brilliantly judged piece of filmmaking which has all the charm, whimsy and heart of anything Disney put his name to. Fundamentally it presents a dramatisation of the early pre-production work that went into the making of the Mary Poppins movie back in the early 1960’s, which saw the cantankerous and principled author of the original books, P. L. Travers (a resplendent Emma Thompson) come to loggerheads with a determined Walt Disney (Tom Hanks, who suggests rather than imitates the famous studio head) who saw the opportunity to alter her works through a more fantastical and family-friendly filter that she expressly loathed. 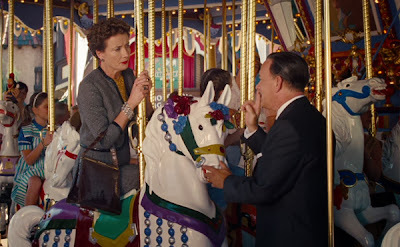 Much of the joy and brilliance of Saving Mr Banks comes from the charismatic and beautifully played clash of artistry, ideology and indeed character that comes from the battle of wills and intent between Travers and Disney, courtesy of two terrific central performances. Emma Thompson is the fire and passion of the film, giving an astonishing tour-de-force turn of stunning precision and comedic timing. Her Travers is suitably sharp, proper and impervious to compromise, a seemingly contradictory whirlwind of still chaos amongst the jubilance and pep of the Disney studios and the man himself. From being hilariously particular about the minutest detail of the screenplay through to insisting upon irrational and impractical demands at a whim ranging from no facial hair on Mr Banks through to an insistence on a complete absence of the colour red throughout the entire film, it is a testimony to Thompson’s performance, Kelly Marcel and Sue Smith’s wonderfully judged screenplay and John Lee Hancock’s shrewd direction that the character remains nonetheless entirely winning and entertaining. Thompson also does a remarkable job of mining pathos and sincerity out of what on the page could easily have been depicted as cold, embittered and unfeeling. With a superlative command of character and performance, Travers’ as a highly reluctant and supremely English fish-out-of-water lends the film much of its surprisingly effective and prevalent comedic slant. Tom Hanks circles Disney, skirting around and hinting at the man himself, capturing something of his spirit and larger-than-life presence as opposed to base imitation. 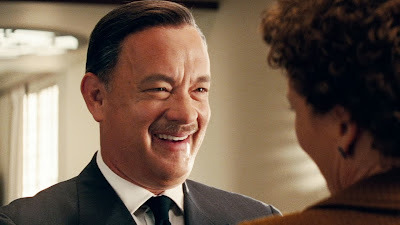 As professed by Hanks himself, he neither looks nor sounds particularly like Uncle Walt did, but in spirit and essence he is able to capture both the child-like love for creativity and imagination as well as the sense of a powerful, beloved media mogul who achieved what he did with just cause. He serves as a terrific foil to Thompson’s Travers and the two are so beautifully and dynamically opposed in every way, yet fiercely similar in artistic ferocity, that it is something of a surprise these events have not been adapted to narrative sooner. Running concurrent with the movie adaptation storyline are a series of flashbacks which depict Travers’ somewhat difficult childhood growing up in Australia. The intent of these is obvious from the offset, for in depicting the struggles and hardships of Travers’ alcoholic banker father (an impressively sincere Colin Farrell) and the downward spiral their family subsequently go on, the seeds of the Mary Poppins story as well as Travers’ own repressions and daemons are illustrated, wounds which are re-opened as the elder Travers’ is forced to scrutinise the Disney adaptation at work. Some of the resonance and relevance of these flashbacks sequences are both touching and delicately interwoven, and there are plenty of hidden nods and winks for ardent fans of the Poppins movie, but at times it is hard to not feel they linger on the point long after it has been made. 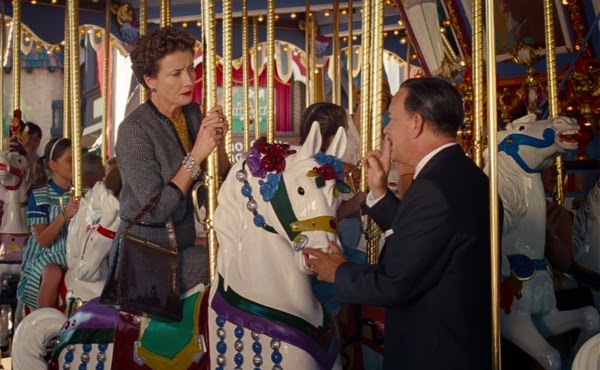 Saving Mr. Banks is undoubtedly a stronger movie for their inclusion, offering shades and nuance to both its central character and the overarching themes of fatherhood and redemption, but the frequency and quantity of flashbacks occasionally outstay their welcome, and are far more overt and saccharine than the pithier, wittier work that frames them. Outside of the film’s core structure, other highlights not yet mentioned include Thomas Newman’s beautiful scoring which also elegantly and organically accommodates the original Mary Poppins’ score and musical numbers, and sterling support from its wider cast including Paul Giamatti as Travers’ well-meaning driver, Ruth Wilson as her despairing, unhappy mother and young Annie Rose Buckley putting in a spirited debut as young Travers in Australia. 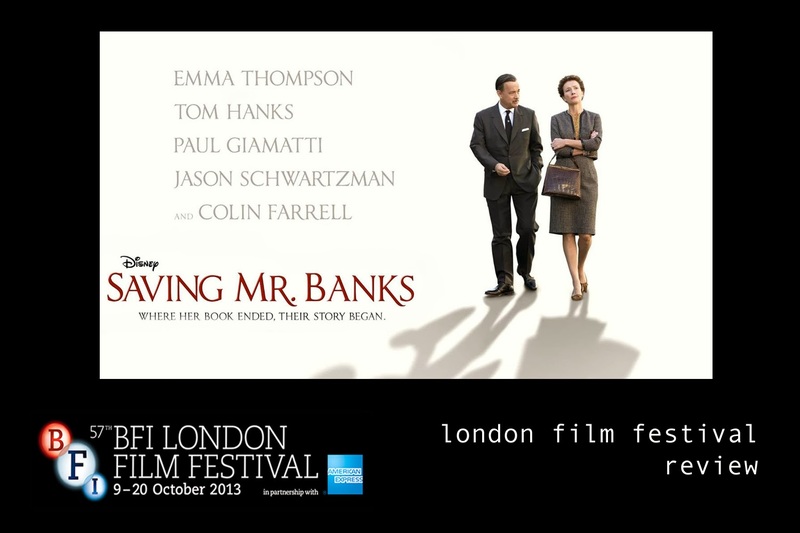 In all, Saving Mr. Banks is a wonderful and welcome surprise, coming out of nowhere to become one of my favourites of this years London Film Festival; a brilliantly executed, thoroughly entertaining slice of character study mixed with a hearty dose of fish-out-of-water comedy and a very winning battle of wills. It is a feel-good crowd-pleaser in the most unabashed and endearing sense, carried with vim and vigour by Emma Thompson’s stunning, controlled central performance, and is a surprisingly more insightful and moving experience than the premise would perhaps suggest. It is a little excessive in its contextualising, perhaps, but ultimately, to apply a simile that Travers’ herself would no doubt detest, this is a story and film that is much like Mickey himself - a little heavy on the cheese perhaps, but nonetheless irrepressibly joyful, funny, exuberant and bursting with both undeniable charm and genuine heart. Walt would be whistling in his grave. The 57th BFI London Film Festival runs in full from 09 - 20 October 2013 in partnership with American Express. Press Screenings for the festival began 23 September 2013.